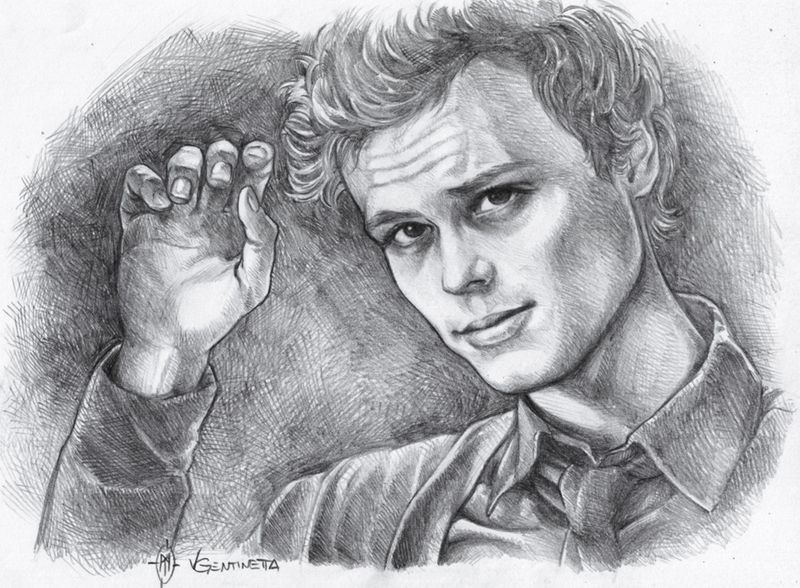 Actor (and director) Matthew Gray Gubler playing Dr. Spencer Reid in TV show "Criminal Minds". Screenshot from episode 6x12 "Corazon". Show and character © CBS, art © Vera Gentinetta. L'attore e regista Matthew Gray Gubler interpreta il Dr. Spencer Reid nella serie TV "Criminal Minds". Dall'episodio 6x12 "La Forza Del Cuore".